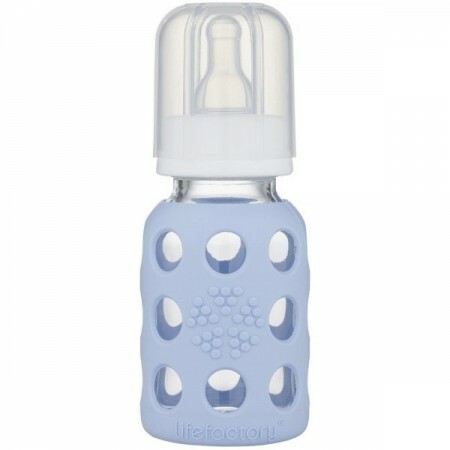 Lifefactory glass baby bottles are durable and completely free of the harmful chemicals found in many plastic bottles. 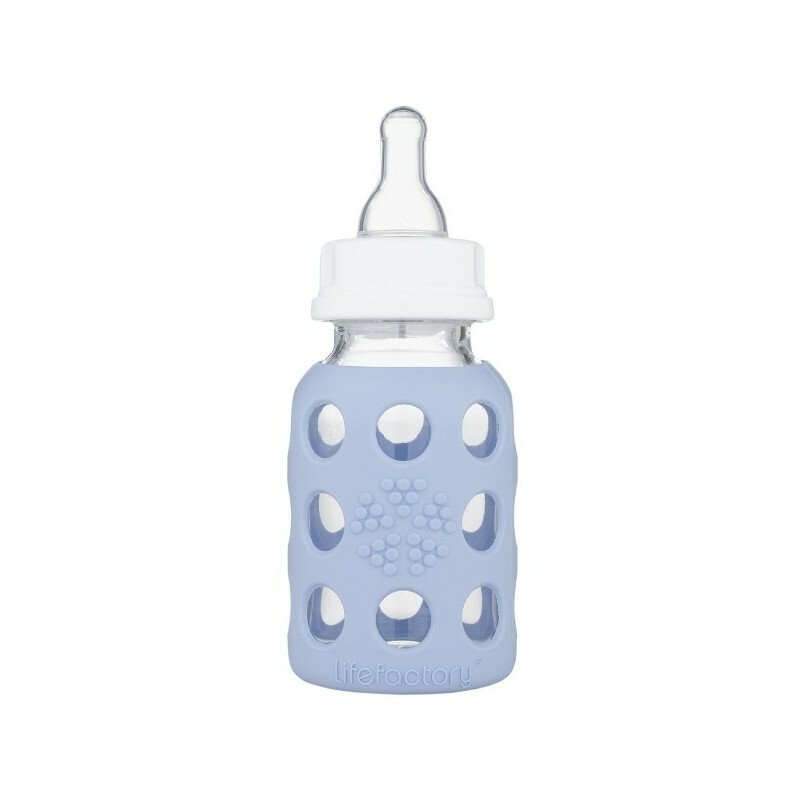 The bright colored silicone sleeve helps your baby to grip the bottle, while also protecting the bottle from damage. Blanket blue silicone sleeve. 120ml.